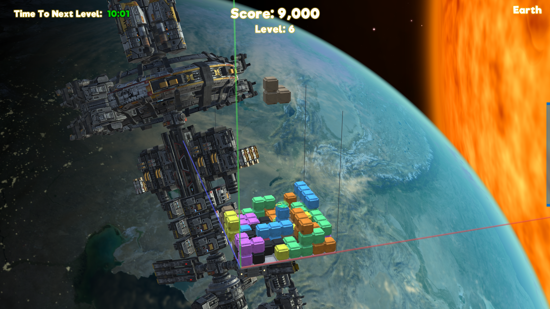 Pit Blocks 3D takes the road less traveled with a unique twist on Tetris-style gameplay. For starters, the action takes place on a number of fully-realised 3D environments: Fantasy, Ice Cave, Painted Forest, Solar System, and Volcano. Each environment features a distinct art style and is rife with minions and bosses that must be faced. An individual storyline with unlockable content is revealed at the end of every level. Enjoy 5 stunning 3D environments decked with their own unique storylines. Choose from 3 different game modes (Basic, Advanced and Expert) – each with varying brick sizes! Unlock special story cards for a deeper dive. Go for a specific pit size – or let the game choose for you. Jam to a high-quality, thematic soundtrack. Pursue more than 20,000 achievements. Pit Blocks 3D will be available on Steam, itch.io, Humble Bundle, and Game Jolt on Thursday, September 27 for $7.99 – a 20% discount. The game will return to its original price of $9.99 on October 4.